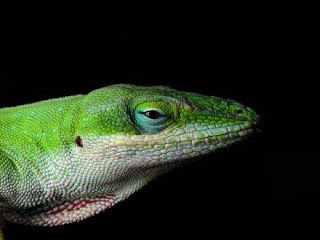 If you ever owned a lizard as a pet growing up, chances are good that you owned one of EOL’s featured species, an Anolis carolinensis, or Green Anole, also sometimes called the American Chameleon, although it is not a type of chameleon. This misnomer comes from this species’ ability to turn from green to brown. This species is the only Anole species native to North America, and is found primarily in the southeastern United States. 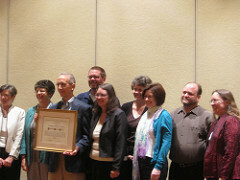 Staff from the Biodiversity Heritage Library received the Outstanding Collaboration award from ALCTS on June 27, 2010. New Feature: User-Submitted Requests for Scanning! 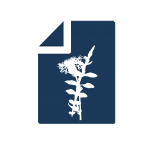 So, many of you participated in our BHL User Survey 2010, and we greatly appreciate your contributions! 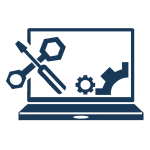 One of the most prevalent themes throughout the range of responses that we received was that our users want to be able to submit requests for scanning. So, you spoke; we listened. 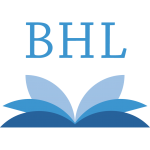 Introducing the new scanning request form on BHL! If you’ve been outside gardening lately, or even simply taking a closer look at the greenery around you, you probably noticed that you were not quite alone. Indeed, the coming of the warm weather also sparks the coming of a plethora of new life, among them insects and spiders. 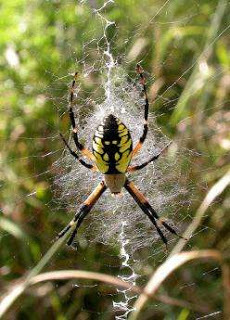 And if you live in the lower 48 states, Mexico or Central America, you may have seen one of the featured species on EOL – Argiope aurantia – the Black and Yellow Argiope. Imagine that you are strolling through the forest on a fine summer morning. The birds are chirping merrily above your head, and an occasional squirrel scurries across the path in front of you. Suddenly, you reach a clearing, in the midst of which is a large pond. As you take a moment to look around, you suddenly notice a log floating carelessly through the water. Except, this is no ordinary log! Indeed, it appears to be moving! On closer inspection, you realize that this is not just a log, but a log covered with as many as 50 painted turtles, all basking in the warm summer sun. While you may never have experienced this yourself, this is indeed a sight which you might see should you find yourself around freshwater anywhere in North America from Southern Canada to northern Mexico. 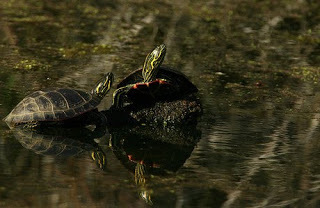 It is the sight of Chrysemys picta, also known as the Eastern Painted Turtle – the most common turtle in North America and one of the featured species this week on EOL. 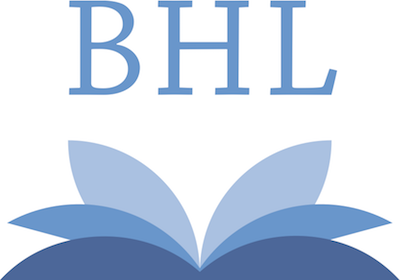 So, as many of you may already know, BHL has gone global – way global, with BHL-Europe and BHL-China well underway, and a memorandum of understanding has just been signed with Australia. 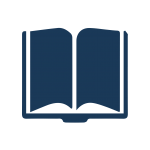 BHL and the Bibliotecha Alexandrina (for an Arab-language BHL) have had some preliminary discussions. 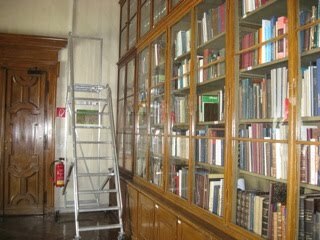 Many of our BHL staff are currently in Vienna, Austria working with the BHL-Europe team to discuss project details and developments.